In a large bowl add the minced chicken with ginger, garlic, chillies, the spice powders, cilantro, mint and salt and mix till combined. 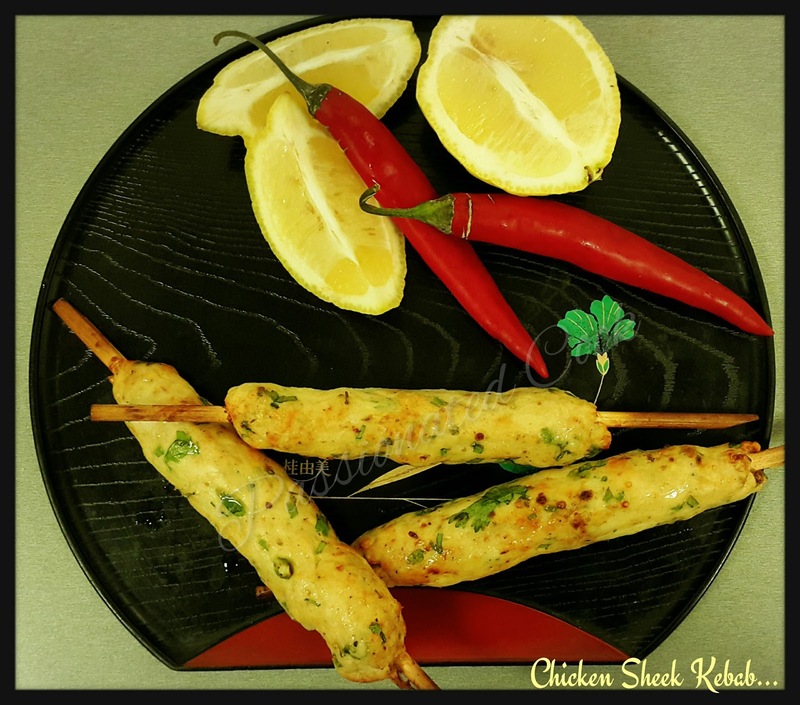 Take a handful of the mixture and using your fingers, slowly spread the mixture onto a bamboo or metal skewer to form a kebab-like shape. 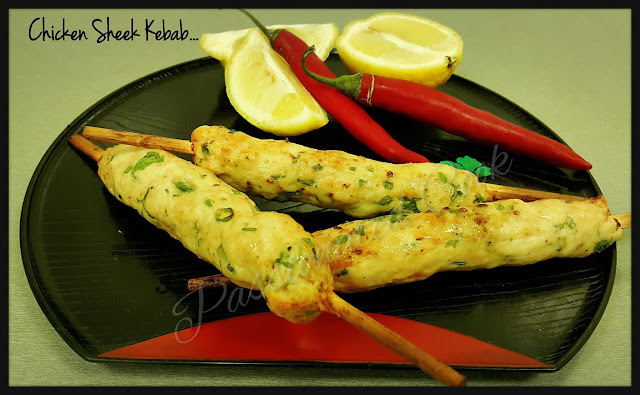 *If the mixture is too dry and you have difficulty forming it into kebabs, beat an egg in a small bowl and add it to the mince mixture and combine well. *If the mixture is too wet, add bread crumbs and mix well. Repeat with the rest of the mixture to form more kebabs. 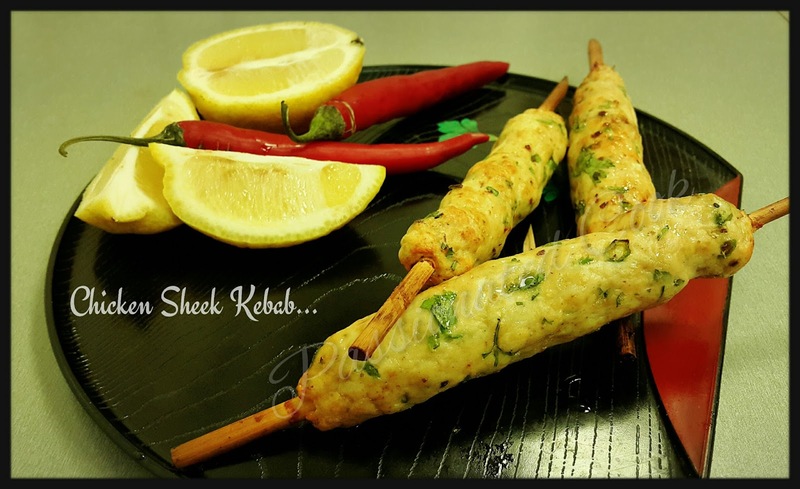 Cook the kebabs on the barbecue for about 5-6 minutes, turning regularly to ensure even cooking. You can also grill them in a pre-heated oven for about 5-6 minutes at 200 C.
I used my Air fryer with the same temperature and timing as oven. Remove onto plates and serve hot sprinkled with chat masala and a squeeze of lime. Serve a small cup of pickled veggies and pita bread, which makes wonderful wraps.